Univisión is a Spanish-language television network available in the United States and Puerto Rico, boasting the largest Latin American audience in the USA with a claim that it can reach 96% of the US Hispanic population and an estimated reach of over 49% of all US households (over 154 million Americans). The network has 23 owned-and-operated TV stations, and is affiliated with 38 other television stations in key US Hispanic markets. Univisión broadcasts in both 1080i/720p (HDTV) and 480i (SDTV). 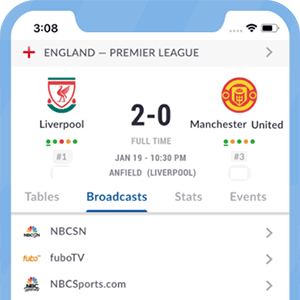 In addition to distribution via cable, satellite and IPTV the network is also available via OTT services such as fuboTV and Sling TV. Univisión, along with its sister channels of UniMás and Galavision, share the broadcasting rights of various soccer competitions such as those of the Mexican League, Mexican international matches and other competitions such as FIFA International competitions. Univisión was the first Spanish-speaking channel in the United States, founded back in 1962 by a Mexican businessman called Raúl Cortéz. Since then, the channel has expanded itself to become one of the most influential sources for Latin American people living in the United States, and given that demographics' interest in soccer (or fútbol, as it is called in Spanish), Univisión was required to provide its own content specially crafted for US audiences. Univisión Networks offer content for Spanish speaking users in the United States via a number of options. It is available terrestrially in digital signal. It is also widely available on most of the major TV providers across the US. Univisión is available on the major Satellite providers, DirecTV and Dish Network. On DirecTV it's on channel 402 for Univisión East-coast feed (SD/HD) and on channel 403 for the Univisión West-coast feed. Univisión on Dish Network is available on channel 270 for the Univisión East-coast HD feed and on channel 828 for the Univisión West-coast feed. The network's main channel, Univisión, focuses on Mexican football coverage, including Liga MX and Copa MX games. Needless to say, the Mexican National Team gets full coverage, including friendly games, World Cup Qualifiers, CONCACAF Gold Cup matches and Copa América games. This channel also covers CONCACAF Champions League, MLS and Portuguese Primeira Liga matches and other soccer competitions that are of interest to its Mexican and Hispanic US audience. Since November 2015, Univisión Network is also available on a the digital service Univisión NOW, which is offered via website and apps for smartphones and tablets. This service provides live streaming of most Univisión programming such as Liga MX and MLS coverage. One of the most interesting features of Univisión NOW is the DVR option, giving users a chance to watch a show up to 72 hours after its original broadcast. Univisión Now is available on a monthly or annual subscription fee. *Not all of Univisión's or UniMás' content will be available on Univisión NOW due to copyright reasons. Univisión and UniMás are affiliated with broadcast television stations in most major US Hispanic markets. For the specific local Univisión channel number for your TV provider click here. *Got itLive Soccer TV does not provide Univision USA live streaming. The information provided on this page is simply Univision USA soccer TV schedule. Spanish and Portuguese multi-platform broadcast rights.